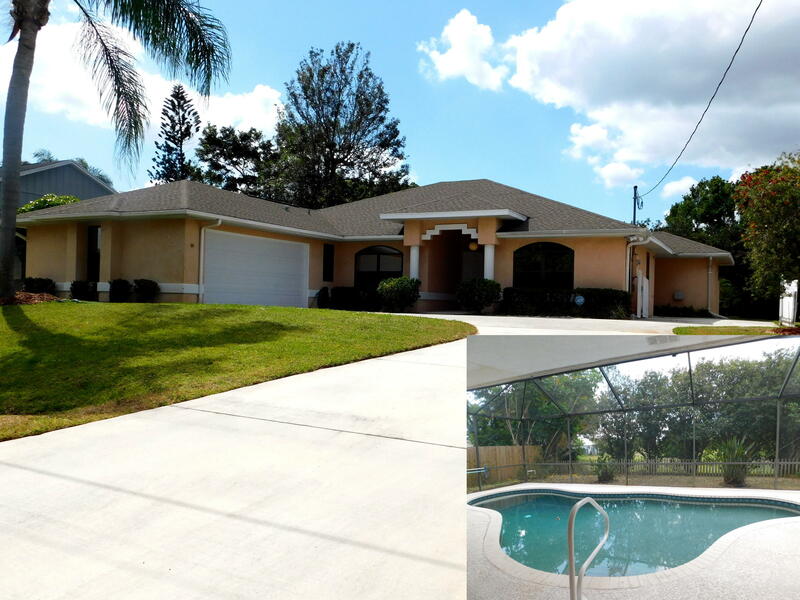 Spacious, Contemporary Sandpiper 3/2/2 Pool Home. RV/Boat Parking Pad, plus desirable side-load garage (for privacy). Rear neighbors far behind you. Dual vanity master bath. Eat in kitchen, plus formal dining. Large utility room with storage, plus work bench and storage cabinets in garage. Fenced Yard. Newer AC. All measurements approx. Close to beaches, shopping, restaurants, hospitals, etc. Lovely neighborhood. Ask your Agent how to enroll in voluntary HOA.